Like any campaign, a year-end campaign should have a specific start date and end date. This is time to review what you’ve done in the past and consider which activities you might implement. 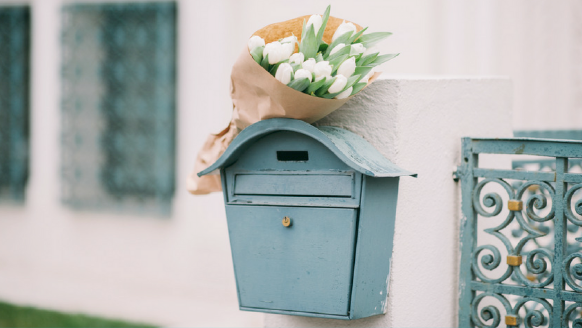 Direct Mail: Your campaign should include at least two standard mailed pieces, the first of which is a targeted, segmented, personalized appeal. Email Campaign: Two or three emails sent to donors who haven’t yet participated in your campaign. Thank-a-thon: In addition to your individual thank you letters, get your board and key volunteers together for a telephone based thank-a-thon. No asking. Just thanking. Read how to do it here. Major Donor & VIP mini-campaign: Your current major donors should be included in your annual campaign. Send them a targeted appeal, personalized with a note from a board member or staff. Social Media: If you have a following on Twitter, Instagram, Facebook use them for campaign status updates, a few reminders, an entertaining video, or mission related photos. 3. Inspire and directly ask for continued support. You’ll need a consistent message and design incorporated into each of your campaign materials. You’ll also need to determine the best timing for each activity. Once you’ve determined which components you want to use, calculate the total and individual costs of the communications you’d like to produce. Will your budget support everything you want to do, such as adding a second mailing, upgrading your email software or using a professional graphic designer? For each campaign component, estimate the associated costs (which might include printing, mailing services, postage, design, email services, etc..). Then add them together for your estimated total campaign expenses. At this point, you’ll also estimate how much money you can expect to earn through each appeal. To calculate revenue projections, estimate the number of people who will likely respond and the average gift for each component. If you have some data from previous appeals, you can use those numbers for your projections. Otherwise, make your best educated guess and know that you’ll have some solid data to use next year. Example: You have a 3,000 household mailing list. Last year, 7% of your mailing list responded to your appeal and your average gift was $65. You brought in $13,650 in contributions. Since expenses totaled $3,000, your net revenue was $10,650 (a ROI of 355%). Use this data to adjust and estimate revenues for this year. Your campaign needs a theme that will inspire your donors to give. This theme, and the design you chose to represent it should carry throughout all of your campaign materials. Although your in-house goal is to raise as much money as possible, you need a public, attainable campaign goal for your donors to rally behind. This should include a financial target as well as a tangible goal that demonstrates what those contributions will accomplish. For example, a literacy organization runs a “2,015 New Readers in 2015” campaign with a goal of raising $302,250 for the 2,015 people they will serve in the upcoming year. They encourage donors to give $150 dollars to teach one person to read, or to join with others for a portion of that cost at $25 or $50. Create a step-by-step production timeline for each of your individual components and put it all together in a comprehensive calendar (along with your delivery timeline from Step 1). This process is extremely important as it forces you to consider every step along the way and budget your time appropriately. Then you can get moving and implement your well-thought-out plan. Step 5: Don’t forget your evaluation! Although this isn’t technically “planning,” I feel compelled to mention this so you can make plans to evaluate your campaign at its conclusion. There is an understandably strong temptation to move on to the next thing on our very long list once a campaign ends. But it is critical to stop and assess your campaign’s successes and where it needs improvement. You must collect all your data and document everything you did along the way while it is fresh in your mind. Taking the time to measure, analyze, and document your campaign results will spare you from a big headache next year and make your next year-end campaign even stronger.